As a kids we all made those “wonderful” hand-created gifts for our dads on Father’s Day. From popsicle stick art, to finger-painted #1 DAD mugs, dads would accept these treasures no matter how lopsided, over-glued, or poorly spelled. While I’m carrying on the tradition of kid-inspired gifts with Jack and Noah for their dad, I’m baking up something a little different for mine. 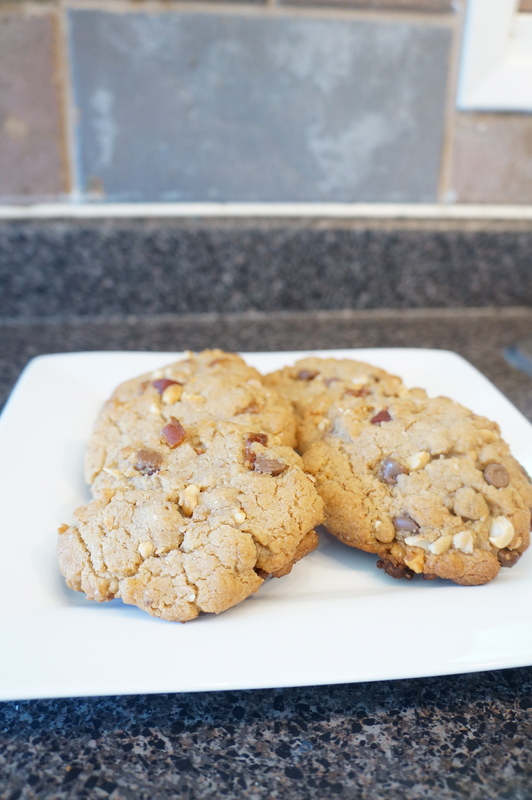 To quote the Pillsbury Doughboy (yes, I’m quoting a foodie flashback), “Nothing says lovin’ like something from the oven,” so for this Father’s Day I’m bakin’ Peanut-Butter, Chocolate-Chip Bacon Cookies, a recipe originally from The Food Network Magazine. Since I’ve only just started blogging I’ll be part way through a recipe, and realize, “Hey, this would make a good post.” I apolozige that there are no step-by-step images for this recipe – although who really needs to see boring bowls of flour and baking soda. So I started this post with the good stuff – the bacon. 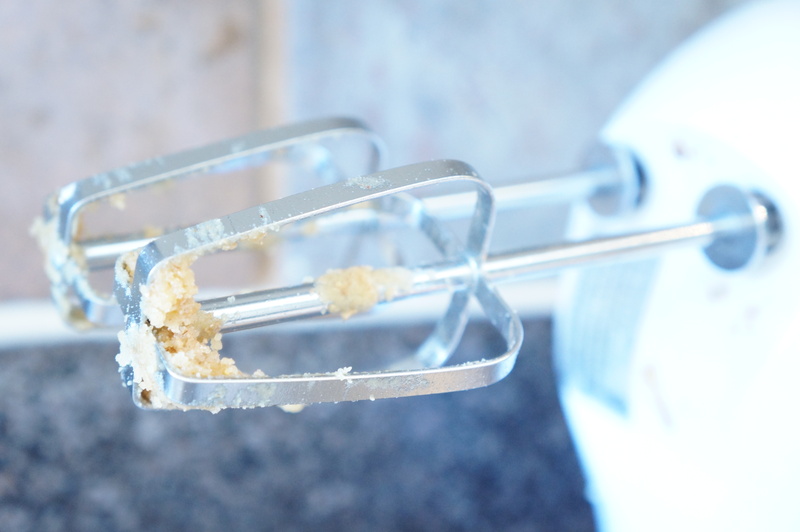 After you’ve mixed your batter with the beaters it will be fairly crumbly. Not to worry. 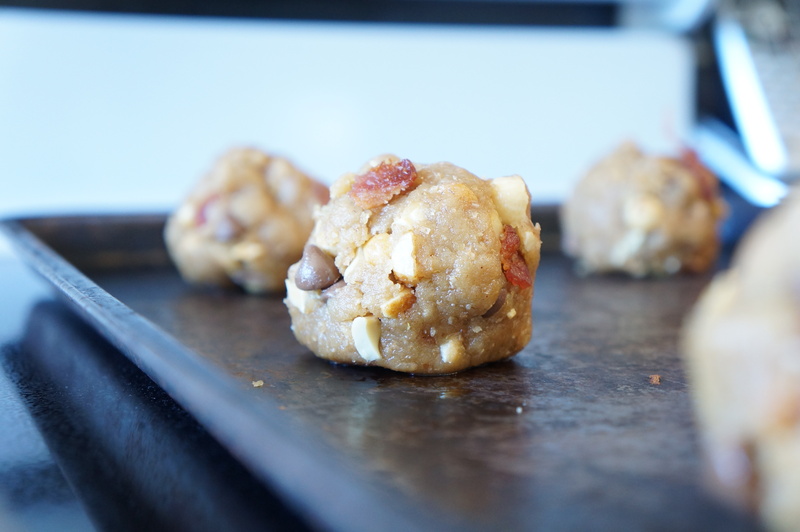 Once you stir in the bacon, chocolate chips, and honey roasted peanuts you’ll form the dough into balls, and press them firmly onto the pan. 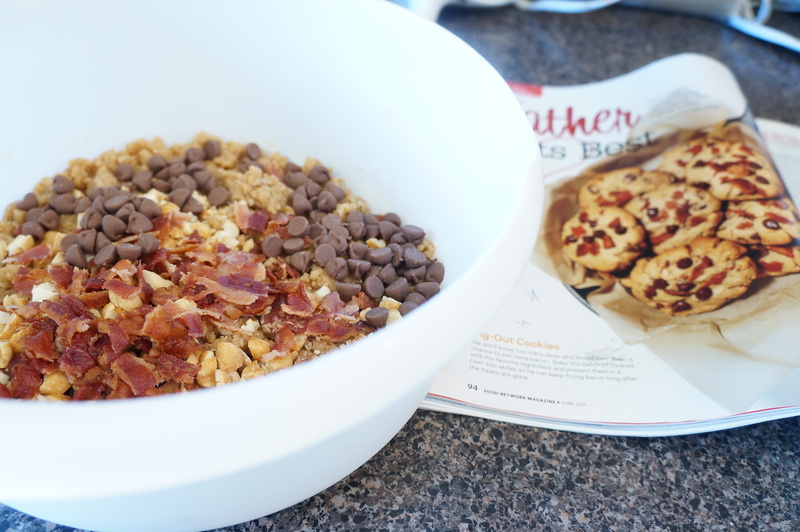 Make sure to leave some extra crumbled bacon and chocolate chips to press into the tops of the cookies. After about 14 minutes at 350 degrees, you’ve got 12 sweet and salty snacks that your dad will truly love (not like that goofy golf card you bought him that one year). Get the full recipe here. Happy Father’s Day. 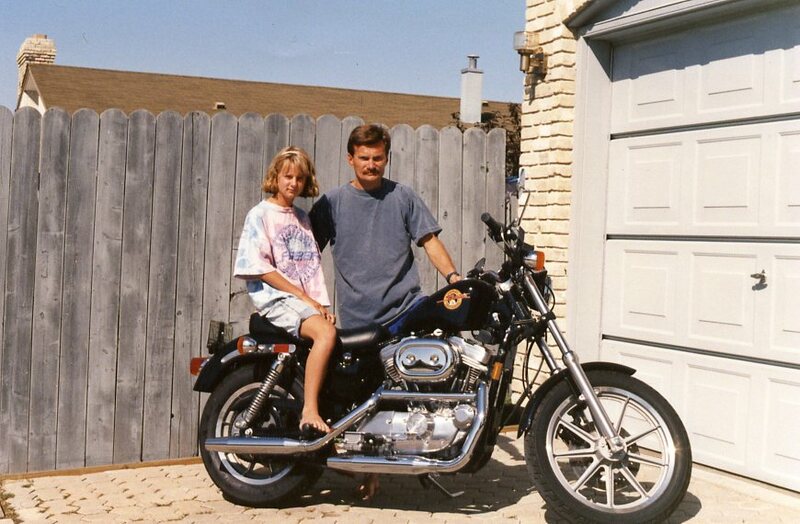 Hope your day is as sweet as my dad’s ‘stash, and my perm from this circa early-90s photo. Turkey Ragu. That’s what’s for dinner. One Mom’s Treasure Is Another Mom’s Trash?